In 1990, Eastern and Western Germany were reunified, leading to the issuance of new postage. These replaced the stamps issued by the previously separate Bundesrepublik and Deutsche Demokratische Republik. Berlin became the capital of this newly formed unified Germany, though it had also previously issued Berlin stamps at different points during the separation. After Germany reunited, stamps issued from 1990 onward had the words Deutsche Bundespost on them, just like the stamps from West Germany that were issued from the end of the 1940’s onward. 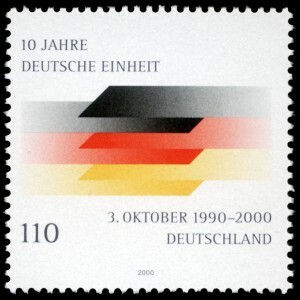 A notable stamp that was issued commemorating the unification was also printed in 1990: it featured the German flag, as well as the words “Deutsche Einheit,” or German Unification. It was simple, but clearly depicted the atmosphere of the newly rejoined halves of Germany. An interesting fact about the German postal service following reunification is that eventually, the Deutsche Post AG was established, which was a stock company that began selling shares in 2000. This replaced the Bundespost and is still in operation today. Philatelists wanting to learn more about unified German stamps for sale and other important periods in German history can contact Treasure Coast Stamps directly.